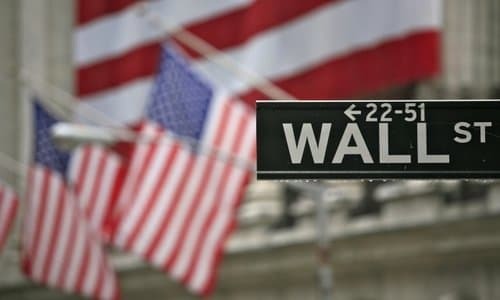 Investors Brace For Impact: Will Wall Street Catch Up With Economic Reality? On Wall Street, everything has been coming up roses for investors up to this point. Stock prices have risen more than 10 percent year-to-date, and the horrible crashes of late last year are quickly fading from memory. Meanwhile, the real economy is literally falling to pieces right in front of our eyes. Debt delinquencies are at unprecedented levels, bankruptcies are soaring, retail stores are closing at a record pace, this is the worst economy for farmers since the early 1980s, exports are plummeting and a brand new real estate crisis has now begun. Economic cancer is rapidly spreading throughout our country, and the U.S. economy is deteriorating at the fastest pace that we have seen since the last recession. So how long will it be before Wall Street catches up with economic reality? The 'retail apocalypse' is alive and well this week with major chains such as Gap, JCPenney, Victoria's Secret and Foot Locker all announcing massive closures, totalling the death of more than 465 stores over the last 48 hours. That builds on recent store closure announcements by Gymboree, Payless ShoeSource, Charlotte Russe and Ann Taylor parent company Ascena Retail, to name a few. A whopping 4,309 store closures were announced by retailers just in the first two months of this year, Coresight Research said in a research note on Friday. That's well ahead of the number of announcements the market research firm was tracking this same time a year ago, it said. The term "retail apocalypse" is being thrown around so frequently these days that it has almost lost its meaning, but the worst is yet to come. "Farm debt has been rising more rapidly over the last five years, increasing by 30% since 2013 - up from $315 billion to $409 billion, according to USDA data, and up from $385 billion in just the last year - to levels seen in the 1980s," Perdue said in his testimony to the House Agriculture Committee. I really, really don't understand the people that are telling us that everything is going to be okay. #4 Victoria's Secret has just announced plans to close 53 stores. #8 PepsiCo has started laying off workers and has committed to "millions of dollars in severance pay". #17 More than 166 billion dollars in student loan debt is now "seriously delinquent". That is an all-time record. The country's economy just escaped entering recession territory last month, with GDP growing at just zero percent following a 0.4 percent contraction in the previous three-month period. But Germany could be just weeks away from a recession-threatening double whammy as a potential no-deal Brexit and Donald Trump's warning to hike car tariffs by up to 25 percent could send the economy tumbling. Chancellor Angela Merkel's ministers have entered into a frantic plan to avert an economic catastrophe which could end Europe's biggest economy's golden growth for a decade. But as I have previously warned, we aren't just heading toward an economic storm. Everything that can be shaken will be shaken, and that includes our governmental institutions. Now it is becoming very clear what is ahead of us, and it is not looking good.